In 2015 the Prudential Ride London Grand Prix brings the Brompton World Championship race to central London for the first time. The unique and eccentric event (no Lycra allowed!) is one of four high profile cycling events in the August RideLondon weekend. 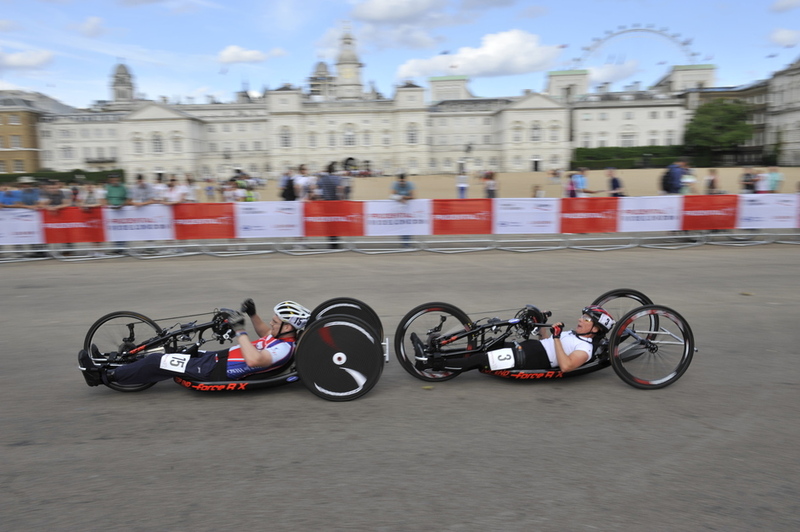 The RideLondon Grand Prix takes place on Saturday 1st August and forms part of a programme of annual events which are keeping the legacy of the 2012 Games alive. What are the best dining options near RideLondon Grand Prix London? RideLondon Grand Prix gyms, sporting activities, health & beauty and fitness. The best pubs near London RideLondon Grand Prix. RideLondon Grand Prix clubs, bars, cabaret nights, casinos and interesting nightlife. Where to have your meeting, conference, exhibition, private dining or training course near RideLondon Grand Prix. From cheap budget places to stay to luxury 5 star hotels see our discounts for St James's Park hotels, including The Trafalgar St. James London, Curio Collection by Hilton from 81% off.